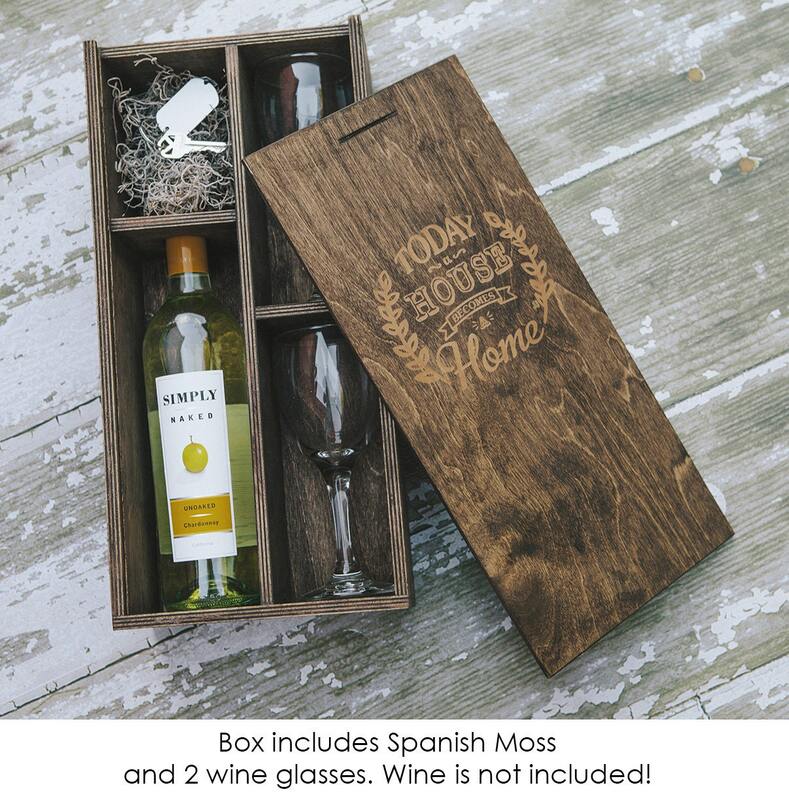 Engraved handmade wood box made out of Birch for wine bottle, 2 wine glasses (included), and area for treat, keys, ect. 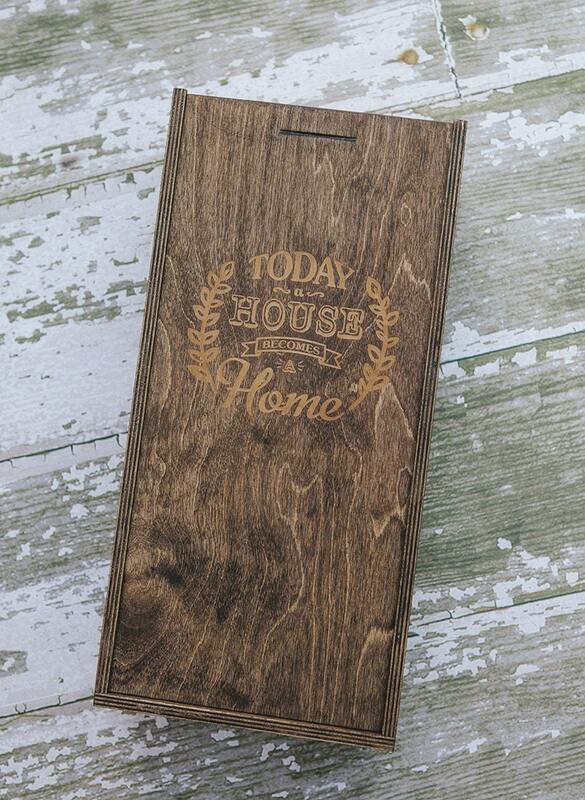 with a slide lid will make a perfect house warming gift from family, friends or Realtor. 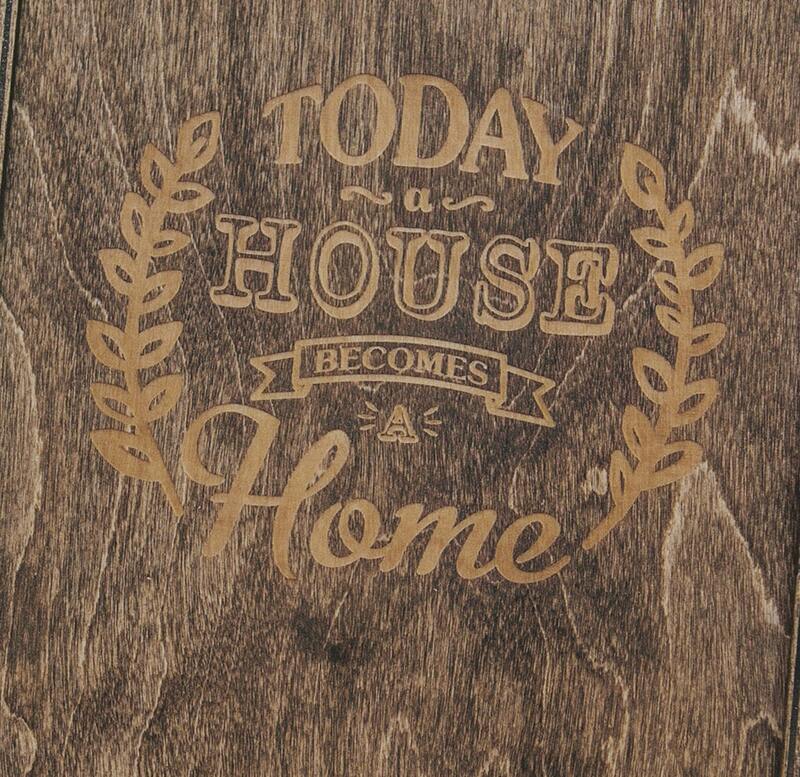 Box is engraved with "Today a House becomes a Home"
Always does a great job! 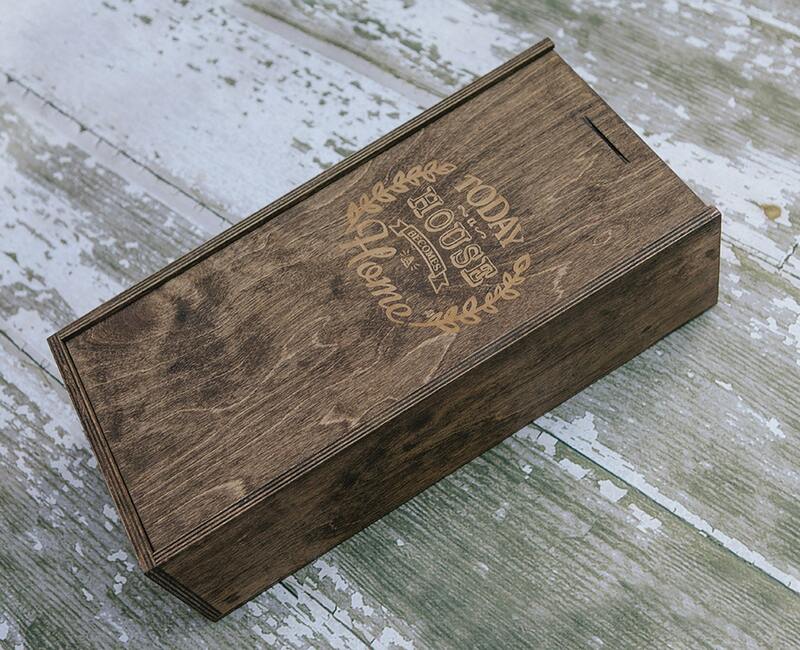 Love these boxes! They got me this item on time! It was beautiful and unique! Used this for closing gift for my buyers. It was perfect!